The shared use of vehicles constitutes a significant opportunity to optimize your company fleet. Regardless of whether the fleet amounts to 10 or 100 units, increased efficiency is guaranteed. Goal: The region of Gotland aims to become fully sustainable by 2025. 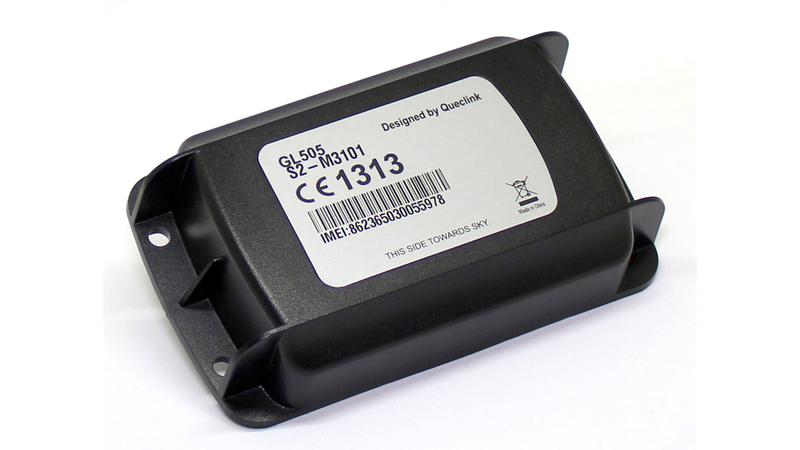 As a step towards this goal, Gotland announced a public tender to provide GPS tracking of its fleet of 300 vehicles and to reduce the fleet maintenance costs. Solution: Metrotec’s solution allows the central locking and alarm system of the fleet’s vehicles to be controlled by mobile phone during the reservation period. Users can reserve the vehicle for an upcoming period by smartphone or computer and the smart feature of control by mobile phone eliminates the potential hassle involved in handing over the vehicle’s keys. Unobtrusively, the solution ensures that the entire process is seamlessly synchronized. Reports generated by the reservation system provide a good overview of shared use of the fleet. In 2004-2005, the Estonian national railway company equipped their fleet of used U.S.-built locomotives with GPS tracking and fuel monitoring devices. The primary purpose of this exercise was to determine the locomotives’ actual fuel consumption. Until then, the company’s estimates were based on the fuel consumption figures from the locomotives’ previous exploitation period, which lacked an objective basis. It is no secret that the consumption figures of that period were to a significant extent impacted by widespread fuel theft. Unaccounted fuel losses, in combination with the poor driving skills of locomotive crews, railway construction operations and speed limits gave rise to extensive fluctuations in the maximum average fuel consumption figures – ranging from 600 to 1,100 litres per 100 km – for different locomotives and over different time periods. In order to attain an objective measurement result, uncertainties needed to be eliminated – the focus of the monitoring system was set on discovering and identifying fuel losses. The system was programmed to trigger alarms even during the movement of the locomotive if the fuel consumption level rose above the maximum average figure. The implementation of the monitoring system was initially met with resistance—to discredit the system in the eyes of the management and to cast doubt on its quality, the devices were massively sabotaged at the beginning of the introduction phase. Regardless, it soon became clear that the actual consumption of diesel fuel was substantially lower than the established consumption rate. Rapid response to alarms caused the number of theft incidents to drop substantially. By registering the run rates of the locomotives’ diesel engines and linking them to the manufacturer’s corresponding per-hour rated consumption figures, we were able to compare the actual fuel consumption to rated values. By analyzing the data and reacting to unjustified deviations, virtually all ‘unaccounted losses’ were eliminated. To understand the causes of heightened fuel consumption, a gradient profile was prepared for all rail tracks. The profile records the length of the ascending and descending gradients and the differences in their elevation. In addition to allowing a more detailed fuel consumption analysis, the profile also made it possible to assess the drivers’ driving technique. Based on the collected monitoring data, several reductions were made in the allowed consumption rate. In 2006, these resulted in a 15% economy in fuel expenditure, which allowed the company to recoup the investment into the tracking system in merely two months. Clear overview of the fleet – moving and standing, working and idle vehicles. Were the chosen route and speed optimal? How long it took to load a cargo? A route displayed on map provides exact answer. Even better – use playback and follow the route. Garmin’s navigator, assigning tasks and destinations, estimated time of arrival .. Remotely controlled navigation terminal near drivers seat creates two-way data exchange between office and driver, including map support. A destination marker (POI) on a map in office is transferred with a mouseclick to the drivers navigation terminal. Maximal understanding through minimal effort! The driver accepts the task, navigation device guides the driver. The office sees, in addition to vehicles location and busyness, destination data and Estimated Time of Arrival. The yourney can be observed in real time. Precisely determined destinations save time and fuel. A task specified on map combined with navigation terminals directions makes drivers work simple and stress-free. In addition to automated messages, the navigation terminal enables two-way communication between office and driver. Simple and fast communication increases flexibility in reacting to events – from an unexpected job to a broken tire. Joint use is one of the options for optimization of the size of the vehicle fleet. The booking system allows the user to book a vehicle for an upcoming period and provides a good overview of the general use of the jointly used resource. Depending on the application of the device, the central locking and alarm system can be controlled from the user’s mobile phone during the period of the booking. Data is presented in comparative tables to increase clarity. 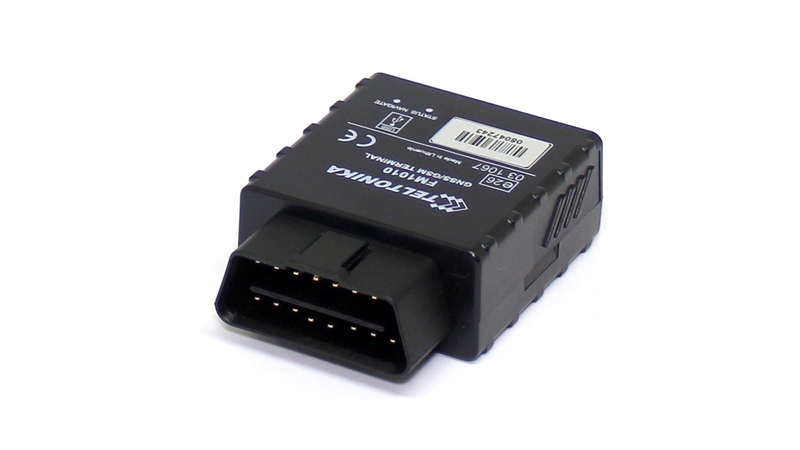 Sort vehicles by fuel consumption, mileage or any other meter. A data presented as chart or graph obtains a new level of clearance. A moment explains what happens in vehicles fuel tank. Dynamic scale will present clearly a minuscule fuel loss. F-Track system produces continuous high quality data stream by registring periodically readings from connected sensors, detecting changes in the readings and storing 24/7 movement history. Processing, filtering and concentrating this data provides users with different reports. The reports reflect driving, waiting and idle periods, work and rest time and movement speed as well as mileage, refueling, average fuel consumption per mileage and working hour. Interactive user interface enables odometer based task diary. User may export reports as needed in html, pdf, csv or xls formats. Acceleration, deceleration, use of cruise control, tachometer readings – they are all variables in the equatation of average fuel consumption. Everybody is trying to make sure, that fleet is exploited correctly and sustainably. Readings from on-board computer allow to appraise driving habits and proper maintenance. 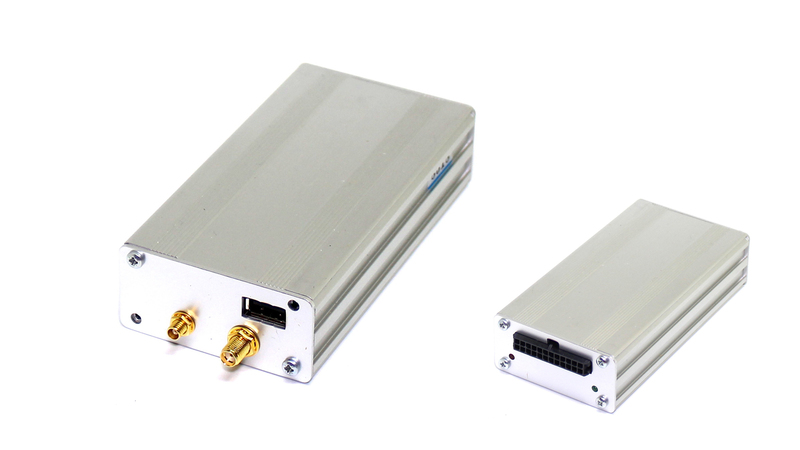 F-Track system produces precise and reliable data. It is suitable for analysing business processes as well as payroll calculations. The data of F-Track system is compatible with value management software and accounting programs. F-Track API is a convenient tool for integrating with another info system. Formulate a query and “mine” quality data directly from our database be it working hours, mileage or something else. A little low level programming work and entire import is automatic and “tailor made”. It is important to be operatively informed about problems. Most popular alarm is currently SMS message indicating fuel loss. Operative reaction has often disturbed fuel thieves, occasionally allowing to capture them. Also, it is important to stay on the right side of law – be it insurance, routine maintenance or mandatory resting hours. Alerting system allows to divide events into different categories and to inform directly respective responsible persons. The number of receivers is unlimited and different receivers can be assigned to individual vehicles, so that every E-mail and SMS reaches correct person – be it security alert, fuel loss, servise message or important message from driver. By creating and administering user accounts you can provide workers, business parners, clients, etc. with different levels of access to the data of F-Track system. Somebody wants a certain report about certain vehicle. Somebody wants to track a cargo. Somebody wants to see exact hours they were billed for. Flexible system of sub-accounts with different profiles and privileges combined with tying different users to different vehicles allows for taylor made customisation of access to data. Circular or polygonal areas can be used to mark loading and unloading locations, mineral deposits, fields, or any other different territories on the map. Visitation reports of areas enable to conveniently count loads, measure the time spent on removing snow, ploughing, or providing another service. The user can request to be notified of a higher than required number of vehicles assembling in a certain area. It has always been advised to use accurate measurement and analysis as the prerequisites for efficient expansion. First, we should divide the work or service process into statuses. The division and naming of the statuses as well as the number of different statuses vary in the case of each specific occasion. Accurate recording of working time and driver-based reporting are both important functions. Seasonal works are usually performed in several shifts. It is quite common that special machinery is used by several different drivers. The machines are equipped with readers, which register the drivers’ chips. The codes of the chips are associated with the drivers in the database in the server. It is possible to check any time who is currently driving and who has been using a certain vehicle in a previous period. In several applications it is necessary to monitor temperature of the environment or to receive alarm upon detection of limit value of the temperature. Metrotec enables to use up to 8 thermometers with a single unit. Permissible total length of connection cables up to 40 m.
Diagrams show the dynamics of changes in the temperature during former data history. Data history indicates clearly, when a specific temperature was measured. Comparing it with the driving situation, location of the vehicle and data of on-board systems, it is possible to understand causes of any situations and mutually related circumstances. Proceeding from the law, the transporter is obliged to copy data from the tachograph once a quarter and from the driver’s card once a month. This task is well suitable for software. This removes the need to remember a bothersome obligation and spares time on account of performing of the operation. The user shall specify a period for each vehicle, upon expiration of which data are copied and archived automatically. Notice of downloading will also remain in the tachograph. Detailed reports are always available in the web. The major advantage of such units is simplicity of installation. Anyone can plug the unit into a socket and thus there is no need for additional costs related to installation or dismantling. Software of the unit can be flexibly adjusted. Various special solutions are available through options, such as registration of up to 8 different thermometer readings, registration of meter readings, indication of operating status of the vehicle, reading data from third systems etc. Positioning unit for outdoor use. No power consumption in economy mode. Intended for monitoring the objects, where main power supply source is lacking or its connection is impossible for any reason. You can write to us info (at) metrotec.ee or call +372 627 4730. When you fill out the form below the message is forwarded to info (at) metrotec.ee and we will answer as soon as possible.